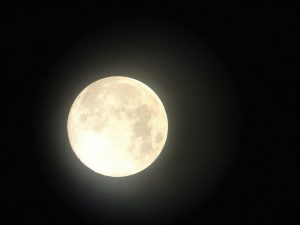 The Full Moon is a time to release and let go of blocked energy or negativity in our lives. It is an ideal time for meditation and focusing on that which you would like to manifest into our lives. Allow Sarah to guide you through a Full Moon Meditation, making use of breathing techniques, visualisations and mantras specifically for clearing blocked and old energy. To secure your space, contact Sarah on 0852546922 or 018310888 or Sarah@namastewellnesscentre.ie.